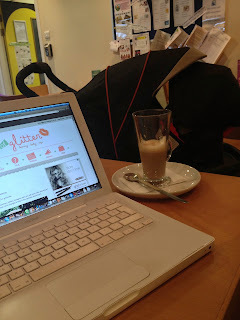 Like an excited child waiting for Christmas, I am loving sitting here writing this blog post. You remember last year I won Camp Nanowrimo? Well, that book was around 10,000 words. Which was enough to enter Nanowrimo. Yet this makes for a small little book. However, upon rereading when I was editing this book called "Delayed" I realised I had actually left the romantic couple in a place where the book could either be left, or added to. Deciding to publish was an easy decision for me. I love writing and I Love romance. Loving Love basically. I have written a few romance novels in the past and most have stayed in the draw, or got lost. Tragic really. If you have a manuscript gathering dust, get it out! Publish it! These days it doesn't take hours of rejections to get published. We have the internet now. Even if you pop it out on social media for free. Whatever it takes, fulfil your dream! So, my book is now out for pre release on amazon, here. It excites me beyond belief. I feel I know my characters and you either love them or hate them! The book is out on June 4th! This is an anniversary day for me which is always a life changing day so hopefully this day will be no different. You can also now find me over on ETSY which is a new place for me and my books. Will you help make my dream come true and share this blog post? You guys are super kind. I wonder what the chances are of this being a best seller?